Since ‘closing the gender gap’ came to the forefront of education during the 1990s, there has been the creation and implementation of countless ‘Boys and Literacy’ groups. Whilst these groups may have different focuses – writing, reading, speaking – they are all there to support the acquisition, development and reinforcement of a Literacy skill. What follows here is an outline of a boys’ Literacy group that I created and implemented in a secondary school that I worked in previously. 1) The Literacy Target Card detailed 2 targets for Literacy – one related to reading and one related to writing. Each target had to be signed off ten times. A signature was given after a conversation between teacher and student, and a review of written work. Once the ten signatures had been marked off, the boys received a reward and a new more challenging target was set. 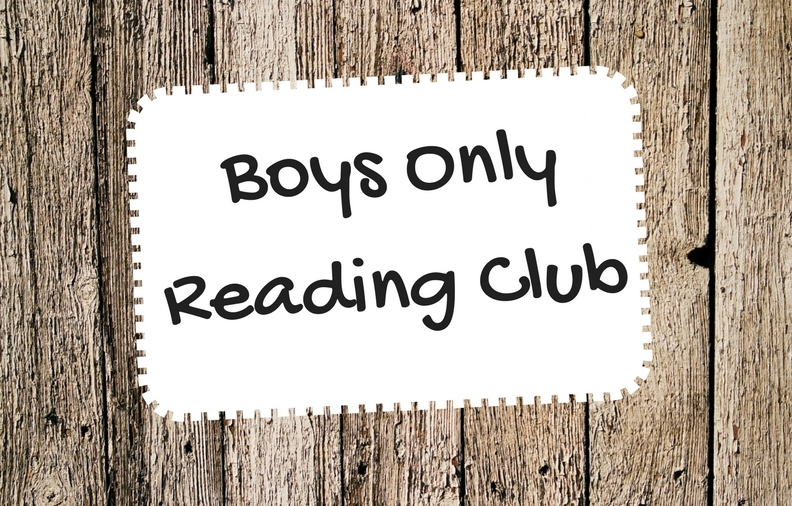 2) The other part of BIILS involved a Boys Only Reading Club (BORC). In order to engage the help of male role models, I sent out a ‘If you are female do not read’ email that sparked interest amongst staff and really helped to put the Scheme on the agenda in the staff room. I was lucky to be inundated with offers from committed and supportive male staff members (and female ones too!). 11 were signed up to run a session with students – they were given autonomy over their book choice with the book ordering responsibility being within my remit. Students were given the text around 4 weeks before the session and, as detailed in their contract, had to complete the text in order to be eligible to attend – which again reinforced the status of the BIILS. The sessions lasted for around an hour and took the form of an informal discussion. I provided the male teachers with some support with what questions they could ask. I ensured that I met with the boys individually on a monthly basis. They were required to bring their Literacy Target Card and be ready to discuss their progress/feelings/experience of being on the scheme. At each reading group session, I attended at the start and at the end – to gather feedback from the boys and the teacher, and to give the boys the next book. I kept in contact with parents by calling them after each individual meeting and providing them with ways to support their child. One of the biggest issues was communication with the boys. I closely monitored their progress through review meetings/dialogues with teachers and parents and constant reminders were sent about the Boys Only Reading Club sessions and the Literacy Target Cards. It was clear that both academically and anecdotally, that the boys progressed during their participation in the scheme. In order to celebrate their ‘graduation’ from the programme, I arranged a visit to see the ‘Lord of the Rings’ musical in London – this was a text they had read an extract from. The overall success of the BIILS was encouraging and affirming. Through anonymous questionnaires, I was able to analyse the responses to the Scheme and in response make changes for the new intake. I felt that it was integral to gather information from both the students and parent. Overall it was clear to see that students on the Boys’ Improvement in Literacy Scheme felt it was a positive experience – 90% would recommend it to the next year’s Year 8. It was encouraging to see that 80% agreed or strongly agreed that their Attitude to Learning had improved since being on the BIILS and that their attainment across the curriculum had improved too. 100% felt that they had befitted a little or a lot from the Reading Groups and 80% agreed or strongly agreed that the Scheme had encourage them to read more often. Overall attendance was satisfactory with 90% of the session gaining an attendance of 70% or more. Texts that were enjoyed were varied but the clear favourite was ‘The Dangerous Book for Boys’ – a non-fiction text. Sessions that were enjoyed were again varied but those that were effectively planned and interesting/fun were the ones that the boys enjoyed most. This was a less successful part of the BIILS with only 50% achieving their first set of targets – I had envisioned the students completing at least two sets each. The main issue was that they ‘forgot’ to get their card signed by their teacher. However 90% agreed or strongly agreed that their writing and reading skills had been helped through the BIILS. It is interesting to note that whilst the improvement in Literacy was the fundamental reason for the BIILS, there were other key outcomes. One in particular was the mention of building relationships with each other. This was very apparent in the boys’ interactions with each over the year – their confidence grew and they began to encourage each other to attend the meetings and make comments. This ‘peer pressure’ was wholly positive; it created a purposeful learning environment without the need for teacher influence. Whilst the BIILS required a significant level of organisation and monitoring, the positive outcomes were worth the level of effort taken to implement the programme. If you are considering administering a similar scheme, I would highly recommend doing so.